10 Rare Animals That May Be Extinct Soon! There are many beautiful animals on this great planet. Some are familiar to us because we’ve seen them in person, on one of the many television shows devoted to animals, or in school books or biology textbooks. Other animals are rare. So rare, in fact, that you may have never heard of them. Or, you may have heard of them, and know that they are extremely rare because they are critically endangered. Here are some of the rarest animals in the world. Tarsiers are found only in the islands of Southeast Asia. Since Southeast Asia encompasses a wide range of islands – Thailand, Cambodia, Indonesia, the Philippines, and more, that might not seem like these little guys are so rare. When you think about the fact that they used to live in many more regions, it sort of puts in in perspective. They mostly live in Borneo. These little primates are only 4-6 inches tall, but their hind legs are twice the length of their torso. Additionally, their eyes are each the size of their brains. What else makes these adorable little primates so rare? They are the only primates who are completely carnivorous – insectivorous to be exact. They stalk bugs and jump at them. They also eat small animals like birds, bats, lizards, and snakes. Tarsiers are considered Critically Endangered and will likely be on that list for some time. They are, thus far, impossible to breed in captivity. Is it a giraffe? Is it a zebra? Is it a ziraffe? A gebra? It’s an Okapi! Ever heard of it? Apparently, the Okapi’s history reaches back to ancient Egypt, where carvings have since been found. In Europe and Africa, prior to the 20th century, there existed legends of an “African unicorn.” Today, that animal is thought to be the Okapi. In 1887, Henry Morton Stanley reported on a type of donkey in the Congo named an “Atti.” Today, THAT animal is thought to be the Okapi as well. Scientists, zoologists, and scholars know a lot more about the animal today. For instance, the fact that it is related to the giraffe, despite it’s zebra-like markings, and the fact that the species Okapia johnstoni is considered a “living fossil,” a creature who seems to be the same species as it’s ancient fossils and has no close living relatives (I guess the giraffe is a VERY distant cousin). There are about 10,000-20,000 alive in the wild, but since this dude is sooooo vintage, he goes on the list. The Sao Tome Shrew is on the Critically Endangered list because not only are there few left, their habitat is progressively declining. The population continues to decrease, making these animals rare. Found only Sao Tome Island, a small island that is actually a shield volcano that rises out of the Atlantic Ocean. These little shrews are only about 3 inches long, and have white teeth (other than the standard yellow) and light bellies. The Red Wolf is a cousin to the Gray Wolf. 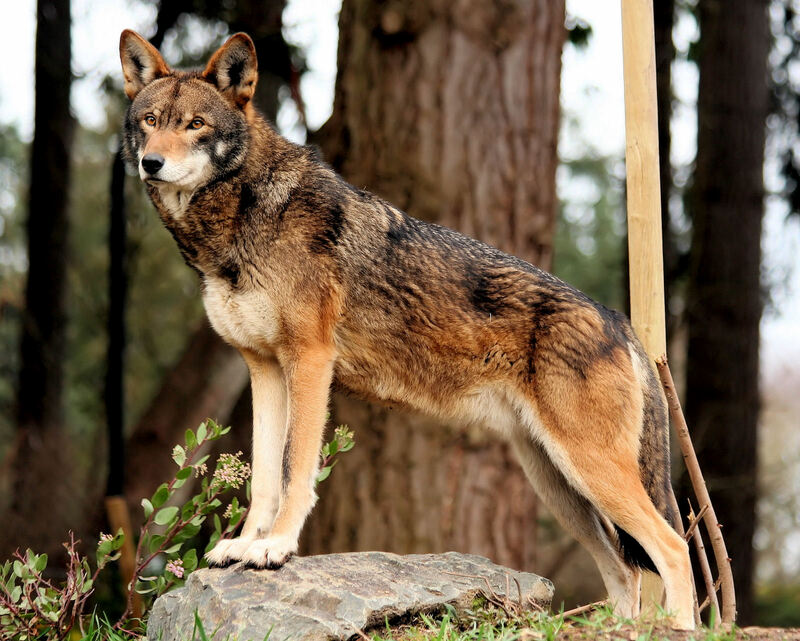 The Red Wolf was actually deemed extinct in the wild in 1980. There were, luckily, some Red Wolves were still in captivity, twenty to be exact. Wildlife conservationists increased the number of Red Wolves in captivity to 207, and today there are about 100 living in the wild. A success story, yes, but the factors that caused the Red Wolf to become so endangered are still present today, in that their hunting ground has been severely depleted. Luckily there are wildlife preserves that allow these wolves to live in their natural habitat, though protected from urban sprawl. This cute critter, considered one of the rarest large mammals in the world, is on the Critically Endangered list. 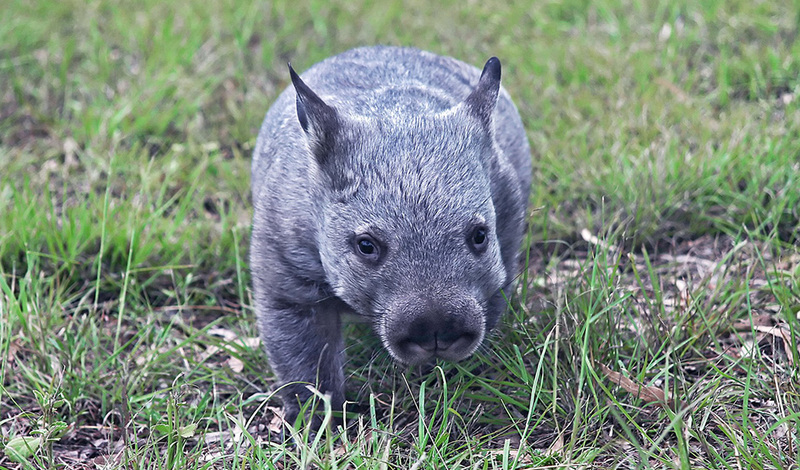 Over 39 inches long, the Northern Hairy-Nosed Wombat is a shade larger than normal wombats, and are able to breed faster, though that has not improved their Critically Endangered status. These vision-impaired marsupials inhabit a mere 750 acre space in Epping Forest in Queensland, except for a second colony (recently established) that lives in a predator-protected refuge in St. George. Currently there are only about 130 Northern Hairy-Nosed Wombats alive. This sac-winged bat lives in the Seychelles Islands that lie north of Madagascar. Once abundant throughout the island chain, the Seychelle Sheath-Tailed Bat is extinct on most of the islands. The bats live in harem colonies, and have a high reproductive potential. Unfortunately, they are very susceptible to habitat changes, and because of their need to roost in several different locations within a habitat, their survival has not been overly successful. There are less than 100 Seychelles Sheath-Tailed Bats thought to live in the world. The Javan Rhino is one of five living rhinoceros types, and is part of the same genus as the Indian Rhinoceros, but they are smaller. These Javan Rhinos were once abundant in Indonesia and Southeast Asia, but they are now on the Critically Endangered list with only about sixty (broken into two known populations) in the wild. There are no Javan Rhinos in captivity. The Vietnam War is cited to be one of the biggest deterrents to the Javan Rhino’s existence, in that it severely depleted its natural habitat. Some sources say that this rhino is THE rarest large mammal in the world, unlike the Fur-Nosed wombat, who is somewhere on the “Most Rare” list. This type of rare tiger is only found in captivity. 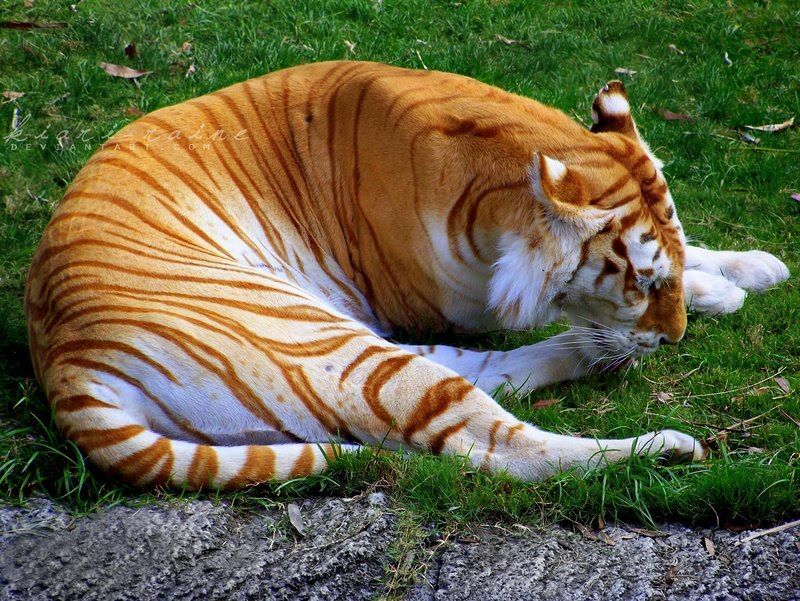 The coloring is a result of a recessive gene, and sometimes the Golden Tabby is also called the Strawberry Tiger. These types of tigers have a Bengal parentage, but generally have Amur tiger in their lineage somewhere. This type of tiger has been in existence as far back as the early 1900s, and their occurrence is strangely tied to areas with a heavy concentration of clay in the soil. There are less than 30 of these tigers known in existence. Also called the Chinese River Dolphin, the Whitefin Dolphin, and the Yangtze Dolphin, the Baiji is NOT the Chinese White Dolphin. This rare animal has become “functionally extinct” because of China’s industrialization. Late in 2006 researchers were unable to find any of these mid-size dolphins, but in August of 2007 a Chinese photographer captured an image of what might be a Bainji. 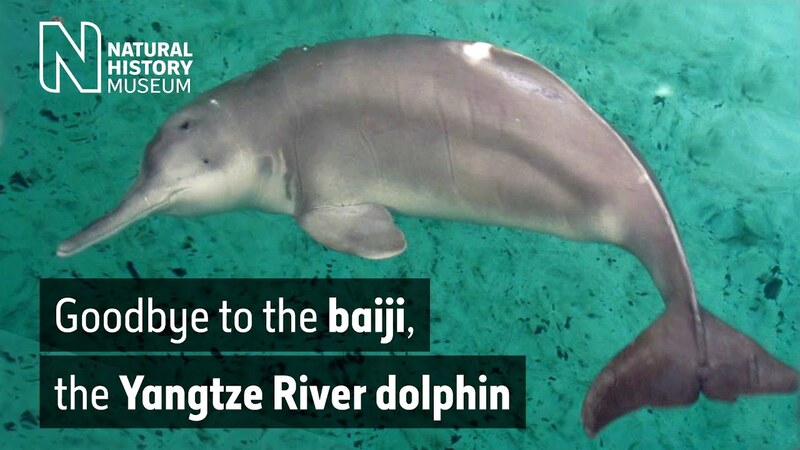 There are anywhere between 0 and 13 Yangtze River Dolphins left in the world. Update: Lonesome George died on June 24, 2012. The subspecies is believed to have become extinct; however, there has been at least one first-generation hybrid individual found outside Pinta Island. The Pinta Island Tortoise has been reduced to one known survivor – Lonesome George. A Galapagos tortoise, George is considered a “poster child” for the conservation efforts in the Galapagos Islands. George is about 100 years old, and all he’s missing is a mate. In fact, some sources report that there is a $10000 reward for someone who finds a female mate for George. There is some skepticism about George’s claim as the last Pinta Island Tortoise in the world. A Prague zoo claims to have another male that they call Tony, but this information is unconfirmed. if number six is an amphibian, it cannot be a reptile. reptiles and amphibians are two completely different classes of animals. Number one should be Gobi bear or mazaalai. As of today, there are just 22 mazaalai in the world. The Olm is an amphibian, not a reptile. The Solenodon is venemous, but does not inject rattle snake venom. It injects solenodon venom. Also, it is not the only venemous animal. There are several, including Savi’s Pygmy Shrew (another with a venemous bite) and the male platypus, which posseses a venemous spur on it’s hind leg. Nice list, though. I love rare and unusual animals. There are plenty of them in my hometown! Sometimes they wander in my backyard. I live in Indonesia by the way. gotta be another galopagos tortoise out there somewhere. That lonesome george’s picture breaks my heart. He looks so pitiable in it. Hope he finds his mate as soon as possible. Man and it’s inability to protect our fragile environment. We must save the animals ! I don’t like when some body bad si killing animals. Because afther that they will don’t haveing animals because they are killing the animasl ,, IN OANE DAY ”. I’ m thinging. Why they aren’t let the animals becaome more on the planet because they will haveing more animals end when the animals aren’t more they let animals end when they are more, they can take SOME animals. If the people will trup down a three or killing more animals the people will gona die because aren’t threes and animals. There are only 35 Amur leopards left in the wild 🙁 I can’t believe all these animals are going extinct! oh guys does this mean that the pinta island turtle is now extinct? and by the way tarsier is not a rare animal, there are thousands of them in Bohol located in the Philippines i would rather vote for mindoro tamaraw cause the specimen have 100-150 only it is like a dwarf carabao. The Northern Hairy Nosed Wombat is awesome. Good list btw. grt listway. cant believe soooo many anmls going extint..by the way isnt cheetah and lion on the list. this website helped me to find my project works……………….i like it….. Protect animals before they are extinct! George lived a boring life.